Home What Is? What is a CPU / Processor? You’ll often hear people talking about CPU processors but really this is a misnomer. After all, CPU is an acronym for ‘Central Processing Unit’, so there’s really no need to put the term ‘processor’ in there twice. Names aside, understanding what a CPU is and how to choose the right one is one of the most important things to consider when building your own PC or even buying one ready assembled. This will have a greater impact on the performance of your machine than nearly any other aspect of your computer, so you need to be sure you’ve got the right model! Basically, you can think of your CPU as the pre-frontal cortex of your computer. That is to say that it’s the ‘brain’ but unlike the RAM which handles the working memory, or the hard drive that handles the long-term data storage; your CPU is all about problem solving, decision making and crunching numbers. CPUs work by using lots of tiny logic gates which allow the computer to decide how to respond to any given instruction. So no matter what action you take on your computer, the CPU will be involved and the speed of your CPU is going to greatly determine how quickly those tasks are carried out and at what point your computer just crashes. There are a huge number of different processors out there but the good news is that you don’t need to worry about most of them. 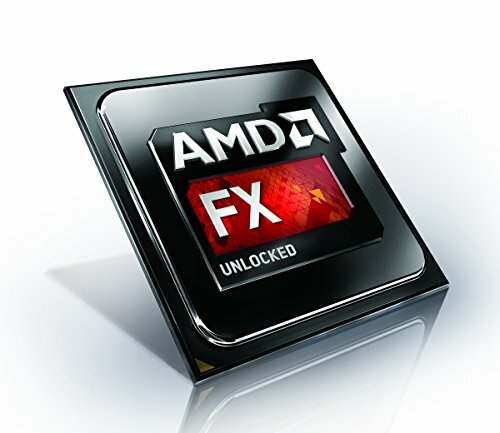 Today, one decision you might make is between Intel and AMD. This simply refers to the manufacturer. Intel are perhaps better known and their processors will be found in more machines. They create the fastest CPUs on the market with their ‘Core i7’ range being the best available right now (specifically, the ‘Skylake’ generation of Core i7s). Their i5s aren’t far behind and they also make a compelling number of ‘lighter weight’ models such as their Atom processors. What is an ARM Chip? If you buy a smartphone, you’ll still have a CPU (it’s still a computer) but it won’t be from Intel. Instead it will be an ‘ARM’ chip, which is a special type of CPU that is designed specifically for mobile devices (like Atom’s ARM chip). ARM processors can’t run x64 software like Windows programs but specializes in streamlined processes that only require one task be carried out at a time. If you pick a Core i5 or i7 processor for your computer, then you can rely on your machine performing well – especially if it’s Skylake and you back it up with decent RAM and a powerful GPU. However, you can also find out more by comparing the speed of a CPU which is conveyed in GHz. The GHz tells you how many times the CPU ‘clock’ ticks every second, which precisely correlates with how quickly processes can be carried out. A 2.5GHz CPU for instance ticks 2.5 billion times a second, which is phenomenal to think about. The higher the GHz, the faster your machine will be. Things get confusing though when you consider that an i5 can conceivably have a higher GHz than an i7, even though the i7 is the ‘high performance’ model. This comes down to specialization. Whereas i7 will always win for multithread activities like video rendering, the GHz will be more important for outright speed in simple tasks. The main difference between Core i5 and i7 comes down to the number of ‘cores’, which basically means that the CPU is split into multiple parts that have their own cache and can work on separate problems independently. There are more factors to consider too though, such as bandwidth (the speed of communication) and things like heat throttling – which is where a good cooling system comes in.